The sella turcica is an important component situated in the mid-third of the cranial fossa. Knowledge about its normal morphologies and dimensions may play a crucial role in diagnosing underlying pathologies. The present study aimed to analyze the principal morphological shapes of the sella turcica, measure its linear dimensions, and determine whether any correlations exist between its dimensions and body mass index (BMI) in subjects in a North Indian population. 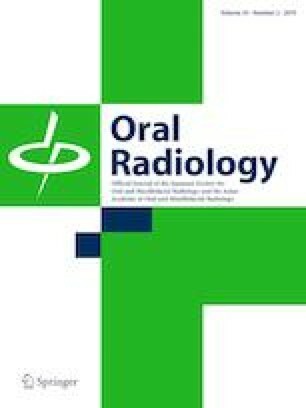 The study was conducted on 100 subjects (50 men; 50 women) who underwent cone-beam computed tomography scans at our Oral Medicine and Radiology Department. The subjects had an age range of 20–60 years. The morphology of the sella turcica was examined according to age and various measurements were taken to determine its size. Possible correlations between the dimensions of the sella turcica and BMI were evaluated by statistical analysis. In the present study, 69% of the subjects had a normal morphology. No uniform increases in length, width, and depth of the sella turcica were observed with aging. When Pearson correlation coefficients were calculated, no strong correlations were found between the dimensions of the sella turcica and BMI. A mild correlation was seen between the length and width of the sella turcica. No significant correlations were found between the dimensions of the sella turcica and BMI in the present study. These findings may have arisen through the small sample size, and thus further studies with larger groups of subjects are warranted. Vidisha Gargi, Sasankoti Mohan Ravi Prakash, K. Nagaraju, Sangeeta Malik, Sumit Goel, and Swati Gupta declare that they have no conflict of interest.